It's been an incredible season at Bank of America Winter Village, from the days when the air was still warm and the trees were green, to the "great" snowfall of storm Juno. 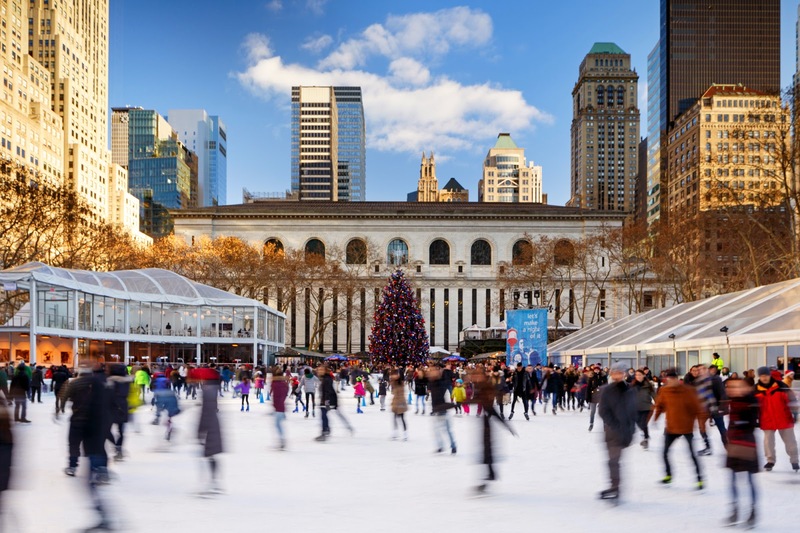 The Holiday Shops brought energy and warmth to the park through the holidays, and The Rink provided hours of entertainment for kids and adults. Thanks to Bank of America's sponsorship of Winter Village, Bryant Park was vibrant throughout New York City's colder months. 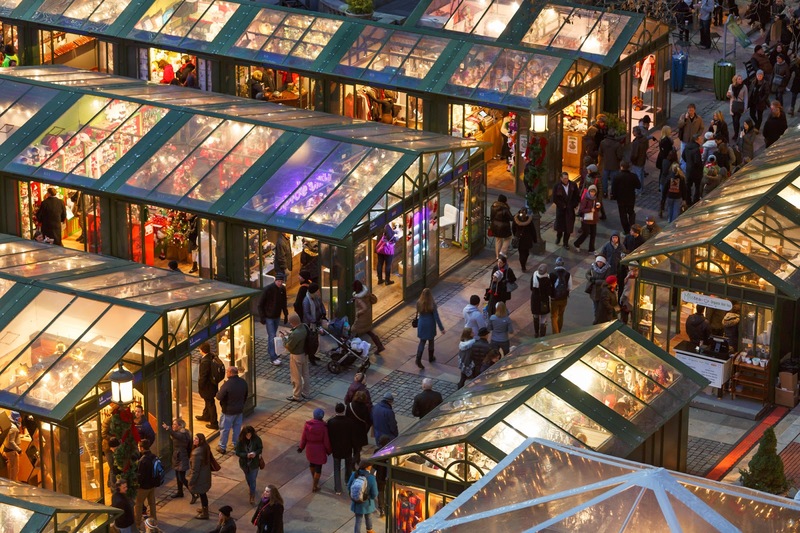 Below is a photographic look back at the park through the 2014-2015 season. First days of the rink: the sun is shining and the trees are still green. The soft glow of the Holiday Shops lights up the night. 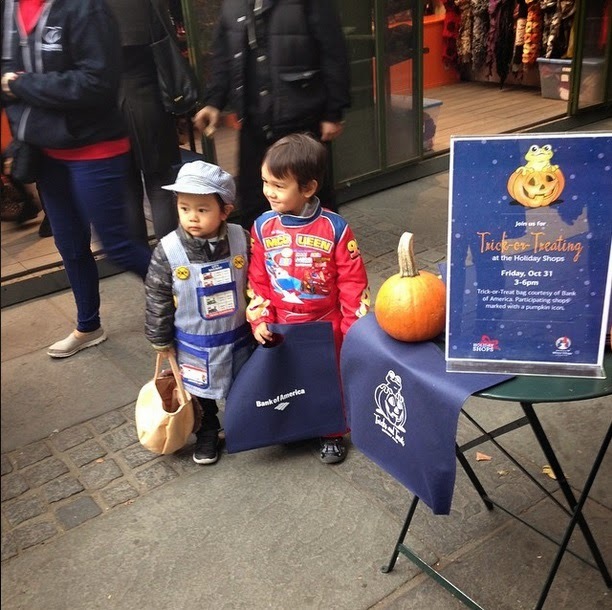 Two adorable trick-or-treaters make their way through Winter Village. A not-so-average view from the roof of the New York Public Library. 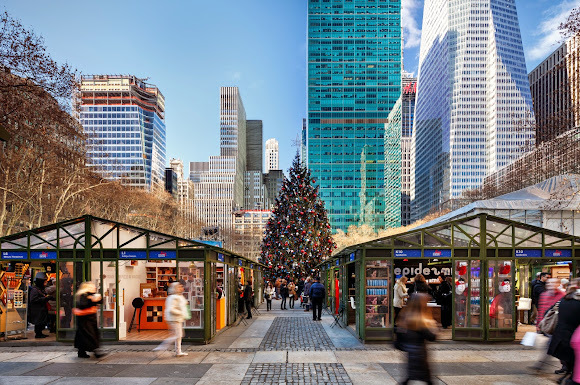 Meet me at the Bryant Park Tree. 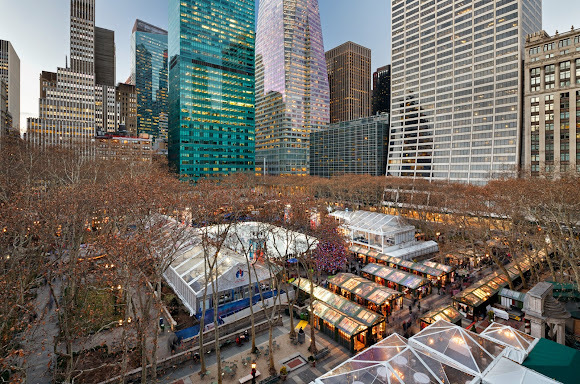 Bryant Park's Christmas Tree presides over The Rink. 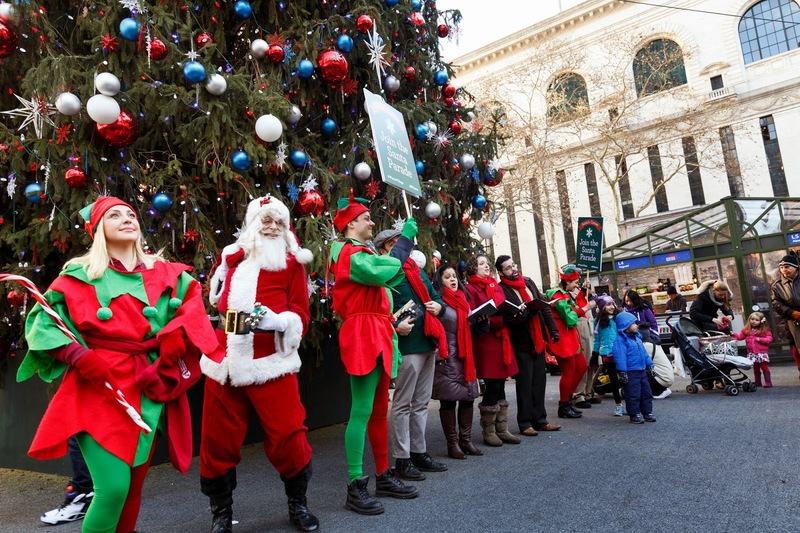 Santa Claus, his elves, and a few carolers parade through Winter Village. 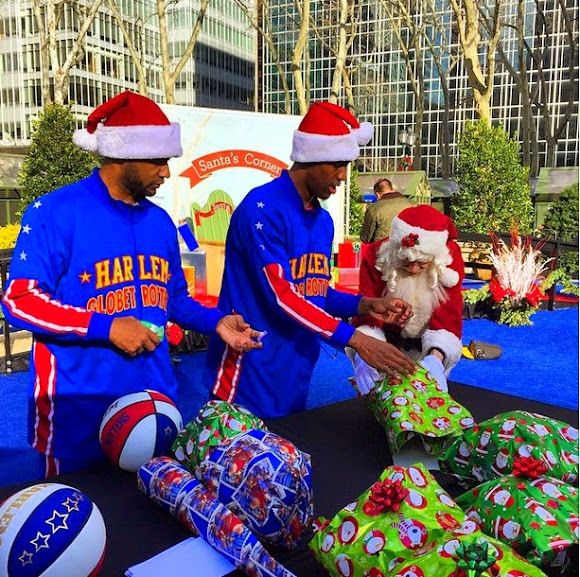 The Harlem Globetrotters stopped by to wrap presents with Santa Claus. 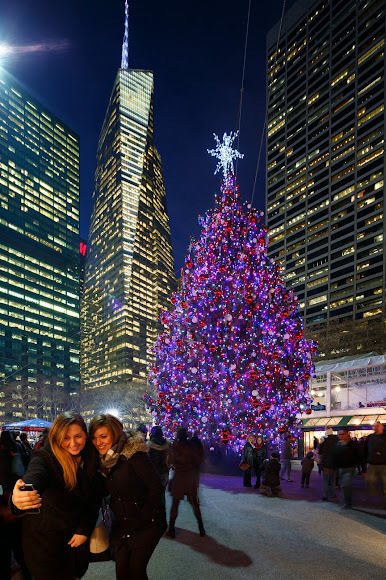 Selfies by the Christmas Tree. 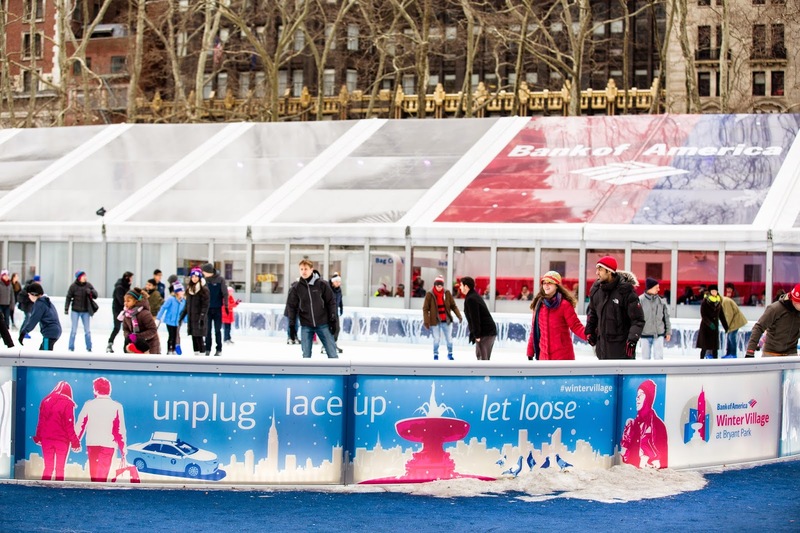 Quite possibly this year's biggest attraction, the #BPFrozenFountain. 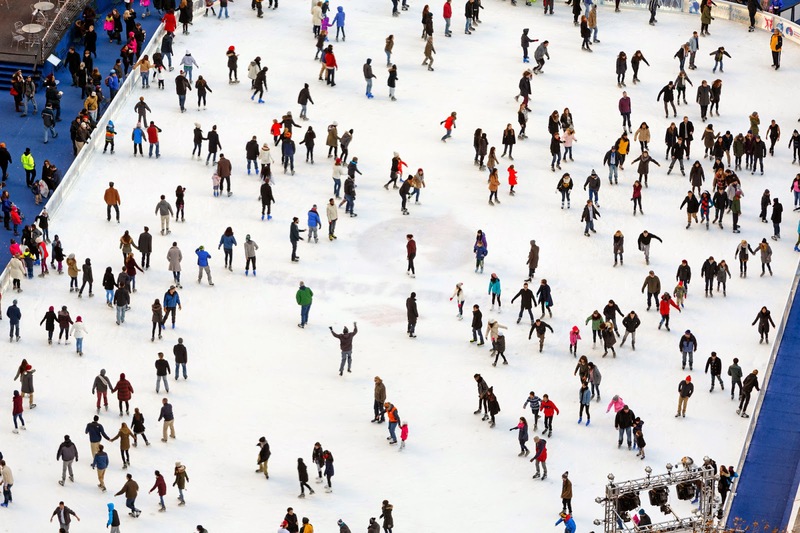 Around and around they go at The Rink. A bird's eye view of The Rink. No matter what time of year, the park furniture always looks great. 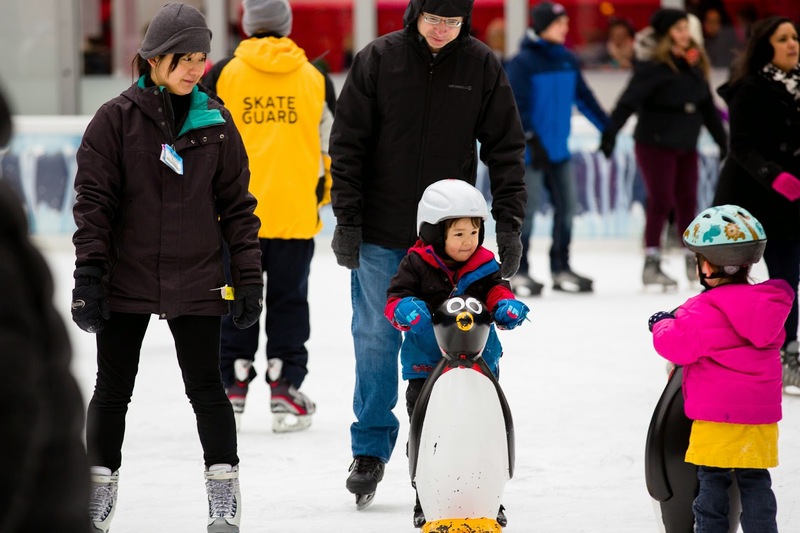 A new addition to The Rink this year: Skate Aids for kids! 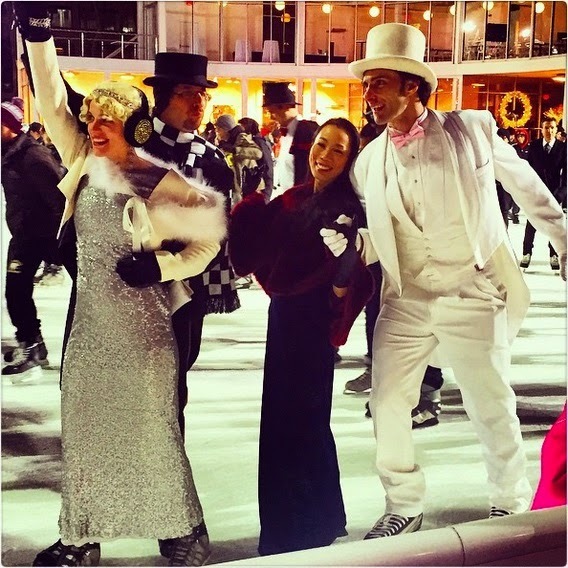 The Simulacrum Society of Yore held their annual Ice Ball at Bank of America Winter Village. 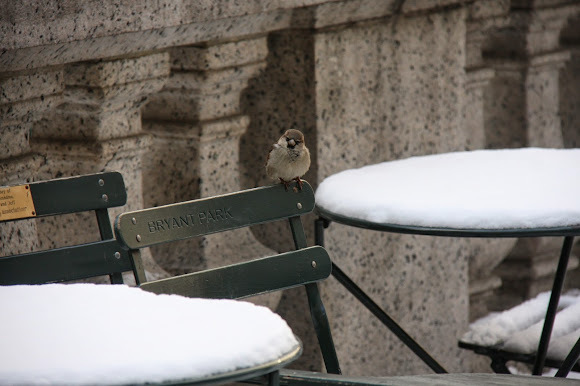 After storm Juno hit it was all hands on deck for Bryant Park Operations staff. Despite the heavy snow fall, Bryant Park Jugglers were not about to miss a day. People of all ages enjoy playing in the snow, especially in Bryant Park. A small bird awaits spring. Bank of America Winter Village will be closing at 10pm on March 1, 2015. Many thanks to Bank of America for their generous sponsorship of Winter Village!